Not married? No kids? Well then, you just might need life insurance. 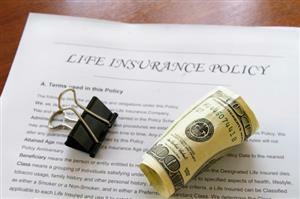 Of course, life insurance often provides for a family after a loved one passes. There are also sound reasons why single people with no dependents should consider a policy. 1) Are there other family members who might have to cope with unexpected costs if you die? If a parent, brother or sister will have to pay for funeral or estate costs, a policy could help them with that burden. 2) If you’re planning to marry and have kids later, it can be less expensive in the long run to buy a whole life policy when you are relatively young and healthy. You can change the beneficiary when you marry or become a parent. 3) If you have a favorite niece, nephew or even friend who you plan to help out later in life, an insurance policy can help ensure that your intentions are carried out. 4) If you own a business or partnership, your life insurance can provide vital financial support when you are no longer available. An independent insurance agency can help you determine when you need insurance and how much coverage you should obtain. Floyd Insurance Group supports Idaho Falls families, singles and businesses with their commercial insurance, property insurance and auto insurance needs. Visit us online at www.floydins.com or give us a call today to learn more! Statistics are kept concerning automobile accidents every year. Insurance companies want to know the causes for claims in every community across the nation. Drivers are wise to make adjustments to avoid the most common situations where accidents occur. Rear-ending – Distracted driving that results in hitting the car in front of you is the cause of almost one third of all car accidents. Pay attention whenever your vehicle is in motion. Hitting a parked car – Parking lots are crowded and most movement happens in reverse. Park your car further away from the door to reduce the risk of being hit. Hydroplaning – Tires can lose contact with the pavement whenever water is on the road. The driver has no control over the car’s direction in this situation. Slow down whenever the roads are wet. Animal collisions – Wildlife moves around during the early morning and evening hours to find water. Drivers must be cognizant of these natural habits in certain areas to avoid a car accident. 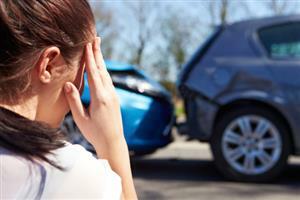 Side collisions – Over 25 percent of all car accidents are the result of drivers “t-boning” another car. These broadside collisions are avoidable through careful decision making. For all of your auto insurance, commercial insurance and property insurance needs in Idaho Falls, Idaho, visit us online at www.floydins.com or give us a call today! Commercial insurance programs usually include workers compensation (WC) coverage. Many states require it, so businesses have no choice but to buy this protection. You may heard or read articles discussing workers compensation fraud, but, if you’re like many others, remain unsure of what forms this abuse takes or how to prevent it. Here is a brief primer about workers compensation fraud and how to avoid it. Faking a covered workplace injury. Working for a different employer, but collecting benefits from a former employer. 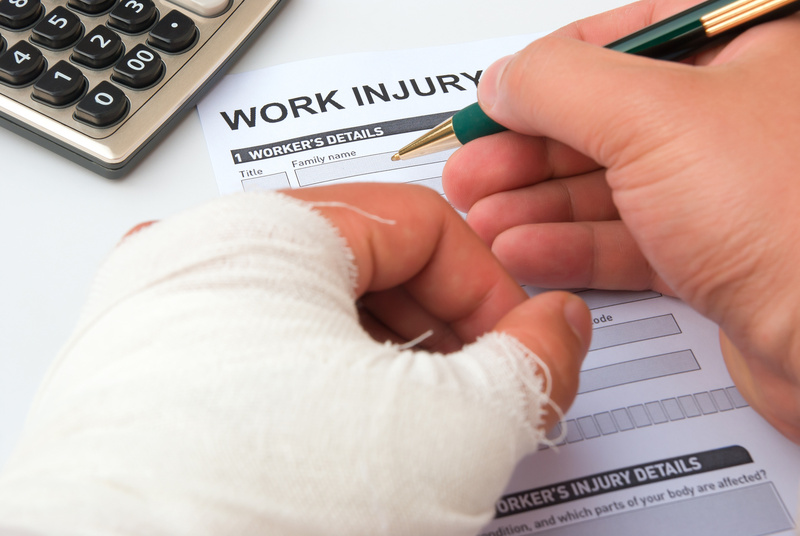 Using a non-work injury as a workplace injury to collect benefits. Returning to your job, but still collecting workers compensation payments. Claiming treatment someone never received. Misinforming about the seriousness of your injury. Thoroughly investigate all accidents, identifying danger points at your workplace. Long time periods between injury and claims. Employees the employer cannot reach at home, while he/she is receiving benefits. Employees changing doctors after the prior physician released them to return to work. Inconsistencies and changes of employee accident reports. No witnesses to the injury or accident. Workers compensation fraud hurts everyone, including other employees and employers. Avoiding WC abuse requires employer diligence by investigating claims and understanding common indicators of improprieties. When you need WC insurance in the Idaho Falls area, contact the Floyd Insurance Group, your trusted experts in all commercial insurance areas in Idaho. Representing many of the top companies in the nation for auto insurance, property insurance and commercial insurance solutions, the Floyd Insurance Group will find you the affordable coverage you need. For more information on insurance services in Idaho Falls, Idaho, visit us online at www.floydins.com or give us a call today! 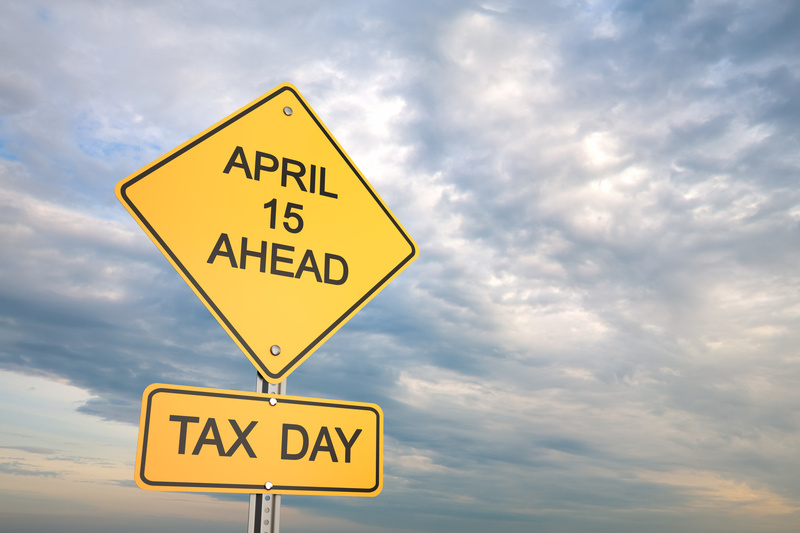 Tax time is just around the corner, and it is the time of year when companies and charitable organizations will be sending out all kinds of official tax forms. Because many of these papers contain Social Security numbers, legal names, addresses, and other sensitive, private information, you should be very careful to safeguard yourself and your family against identity theft. Here are three tips to help you protect your family’s personal information. Watch your mailbox. Most paperwork is sent through snail mail, so keep a close watch on your mailbox. It would be simple for a thief to pilfer an important paper right out of the box. If your important papers are not in the mailbox by January 31, call your employer. If you still haven’t seen them by mid-February, call the IRS. They can get the information for you after February 14. Carefully store paperwork. Be careful with the hard copies of your tax papers after you receive them. Don’t leave them in the car or on a desktop in view of a window. A locked file box or a safe is the best place for these papers. Know the warning signs. If a thief has your information, he could file a fraudulent claim in your name. 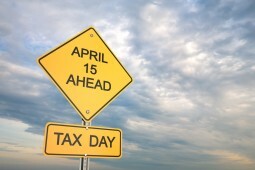 If anything strange happens in the course of filing your taxes, don’t hesitate to call the IRS. If there is odd information in your tax history or a record of an employer that you don’t recognize, be sure to make the call. It’s also not a bad idea to periodically check your credit report to make sure that no one has taken out a credit card in your name with your information. For more information about property insurance, commercial insurance, and auto insurance in Idaho Falls, Idaho, visit us online at www.floydins.com or give us a call today! Because of Valentine’s Day, February is the month when hearts are on everyone’s mind. For this reason, the American Heart Association has designated February as American Heart Month. This campaign is designed to raise awareness about heart disease, its causes, and how it can be prevented and treated. Every year in the United States, about 600,000 people die from heart disease. Heart disease is a broad category that includes illnesses like heart attack, coronary heart disease, and arrhythmias. Cardiovascular disease includes heart attacks and strokes, and it costs the United States over $312 billion every year. Certain lifestyle choices can put you at increased risk for heart disease. Use these tips to keep your heart healthy this February. Eat a healthy diet that includes plenty of whole grains, fruits, and vegetables. Keep your body at a healthy weight. Keep track of your blood pressure. If you’ve been diagnosed with high blood pressure, manage it by taking your medications. Be moderate in alcohol consumption. Property manage diabetes if you have it. Keep an eye on your cholesterol. For more information about property insurance, auto insurance, and commercial insurance in Idaho Falls, Idaho, visit us online at www.floydins.com today! Satisfy your hunger cravings in Idaho Falls by visiting restaurants such as The Snake Bite, Sandpiper Restaurant, Morenita’s Mexican Restaurant & Bakery, Smitty’s Pancake & Steak House, and Jaker’s Bar and Grill. These eateries are popular with the locals and make quite an impression on folks passing through Idaho Falls. The Snake Bite is a popular restaurant known for its juicy burgers, steaks, and seafood. This is a great place to satisfy those hunger cravings! Sandpiper Restaurant is known for their steaks, seafood, and pasta dishes. The menu offers selections that promise to please the masses. Morenita’s Mexican Restaurant & Bakery is a nice family restaurant that welcomes groups and also children. Their aromatic dishes offer hefty portions and will please everyone in the mood for Mexican flavor. Smitty’s Pancake & Steak House is known for the friendliest service in town. The "little restaurant by the river" maintains its menu and doesn’t shift with the fads. The delicious food and the warm, family style, customer service brings with it a steady flow of returning customers. Jaker’s Bar and Grill is a nice restaurant with a casual ambiance, a full bar, and a variety of lobster dishes. Come in for lunch or dinner. This is a great place to celebrate an anniversary, birthday, or hold a business meeting. When searching for property to commercial insurance coverage in Idaho Falls, contact the Floyd Insurance Group. Find out about full coverage for auto insurance, property insurance, and commercial insurance. The professionals at Floyd Insurance Group will help you match the best provider to the highest level of coverage for your needs, while finding you the best rates. Coverage is extended from known providers such as MetLife, Hartford, Travelers, Progressive, and more. The Fisher Group services both Idaho and Utah. Call 208-524-2163 today! Now is the time to take inventory of your homeowners insurance policy to make sure you are not under-insured. After disaster strikes, it’s too late. Sadly, many people have learned after their home was destroyed that their policy did not pay enough to rebuild. A nationwide survey reveals that as many as two-thirds of all homeowners are underinsured by 18 percent. That means that if your $200,000 home is destroyed by fire, floods or other natural disasters, you must come up with $36,000 to rebuild. In areas where the cost of rebuilding has increased, this figure will be significantly higher. Contact an insurance agent today to help answer questions about the coverage you have now and any additional coverage that you may need. For more information on property insurance, commercial insurance and auto insurance contact the Floyd Insurance Group serving the Idaho Falls, Idaho area today. Filing an insurance claim is quite simple. To file a claim, all you need to do is contact your agent, fill out the necessary paperwork and wait for an adjuster to inspect the damage. A check follows, usually fairly quickly. Because insurers want to stay away from high risk customers, your policy may get canceled if you make too many claims in too short of a time period. Use the following guidelines to help you with the claims filing process. First make sure you completely understand your policy and know exactly what is covered and what isn’t. Ask any questions now, not later. If your property gets damaged, stake your claim quickly by calling the insurance company’s hotline as soon as possible. Never mention the word "lawyer" as this makes insurance companies skittish. If you feel you are going to need a lawyer, call your state insurance department first. Let the lawyer deal directly with the agent. If you are involved in a car crash, keep a copy of the police report. Get the other party’s insurance information before leaving the scene. Always get more than one estimate. Keep all documentation from receipts to estimates. For more information about auto insurance, property insurance and commercial insurance contact the Floyd Insurance Group serving the Idaho Falls, Idaho area today. Now that you have that HOG set in your mind, you are ready to do what it takes to get out on the open road on the back of your new motorcycle. However, before you hit the throttle, you need to make sure your insurance coverage protects you as a motorcyclist. As with auto insurance, motorcycle insurance includes several categories of coverage. Comprehensive insurance help protect a bike from theft or damage from weather, while collision coverage pays for damage if your motorcycle collides with another object. Along those lines is property damage liability that covers other objects that may become damaged if you are in an accident while on your motorcycle. Another form of liability coverage is bodily injury liability, which pays for damages to another person as a result of your motorcycle accident. Medical payments, personal injury protection and uninsured or underinsured motorist bodily injury also cover medical bills, damages and lost income. Floyd Insurance Group in Idaho Falls, Idaho hopes that you will stay safe when riding your motorcycle. For peace of mind, make sure to have the appropriate amount of insurance coverage. Here at Floyd Insurance Group, we offer motorcycle insurance, as well as property insurance, commercial insurance and automobile insurance. Contact us today to get started.